St Christopher is the patron Saint of travellers. 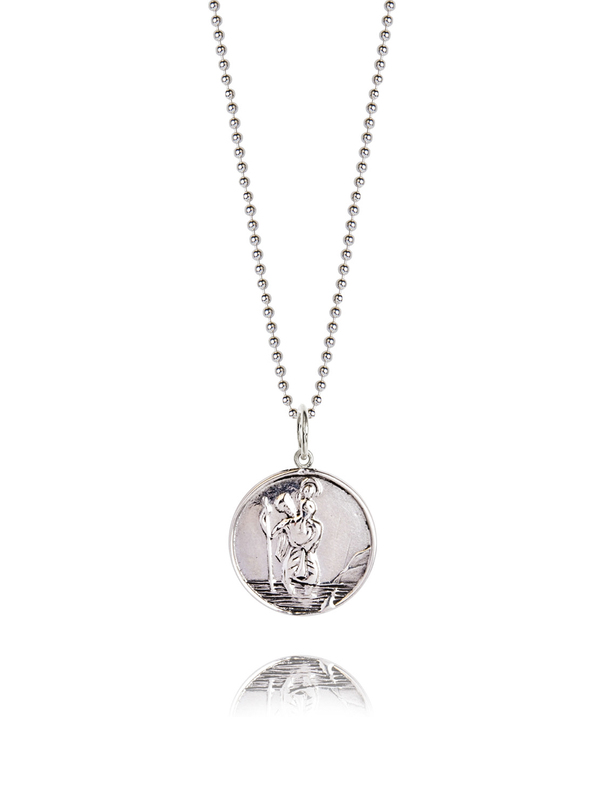 Stay safe and protected on your trip with this sterling silver charm measuring 2cm in diameter and hanging on a 60cm silver ball chain. it looks great worn on its own or alternatively in a cluster of charms that you may have collected on your travels!